New research, coauthored by Wellesley College economist Phillip B. Levine and University of Maryland economist Melissa Kearney, finds that greater access to Sesame Street in the show’s early days led to improved early educational outcomes for children—and adds evidence to the argument that television can have a positive impact on society. While previous targeted studies conducted by the Educational Testing Services (ETS) in the early 1970s found that exposing children to Sesame Street increased preschoolers’ test scores, the new study provides evidence that the generation of children who were of preschool age when the show aired did better in school once they got there. Levine and Kearney investigated whether groups of preschool children exposed to Sesame Street when it first aired in 1969 continued to experience improved outcomes. 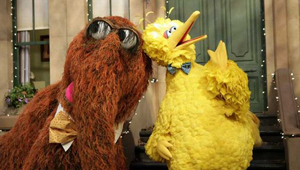 The results of their analysis indicate that the introduction of Sesame Street led to a positive impact on performance throughout elementary school. In particular, children with greater exposure to the show were more likely to be academically on track. Levine and Kearney draw this conclusion after examining differences in access to Sesame Street that resulted from TV technology in the 1960s, when some stations broadcast on UHF channels and others on VHF channels. UHF broadcasts were weaker, which meant that children growing up in areas where Sesame Street was broadcast on UHF had limited access to the television show. “Sesame Street was born in the late 1960s during a time when the importance of early childhood experiences began gaining more traction. Since our founding, Sesame Street has revolutionized early learning by using media to make educational opportunities accessible, helping children grow smarter, stronger and kinder. Drs. Kearney & Levine’s research reaffirms the intention Joan Ganz Cooney and the team that created Sesame Street set out to accomplish. We are thrilled to see the positive effects of Sesame Street as a population-based intervention – especially for those less privileged,” said Dr. Jennifer Kotler Clarke, Vice President, Research and Evaluation, Sesame Workshop. The study, “Early Childhood Education by MOOC: Lessons from Sesame Street,” will be published by the National Bureau of Economic Research on June 8, 2015 and will be available online. The University of Maryland has long been linked with Jim Henson, creator of the Muppets and one of the early contributors and character developers on Sesame Street. Henson pursued television and puppet projects at the University of Maryland; he graduated with a B.S. in home Economics in 1960. A statue of Henson and Kermit the Frog is on the College Park campus, outside the Adele H. Stamp Student Union. The University of Maryland Libraries has an extensive collection of Jim Henson videos, “The Jim Henson Works,” that can be viewed from computers in the UMD libraries. Since 1875, Wellesley College has been a leader in providing an excellent liberal arts education for women who will make a difference in the world. Its 500-acre campus near Boston is home to 2,400 undergraduate students from all 50 states and 75 countries.